Walhub is a functional face plate that provides storage for the objects that often come and go with you - keys, mail, umbrella, scarf. 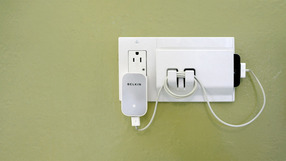 Walhub Keeper can also works as a charging station for your phone. 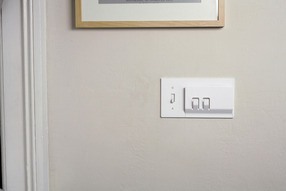 There's no need to purchase and install a new product on your wall like individual hooks or shelving systems; instead Walhub replaces your underutilized switch plate and adds practical function to a logical location. 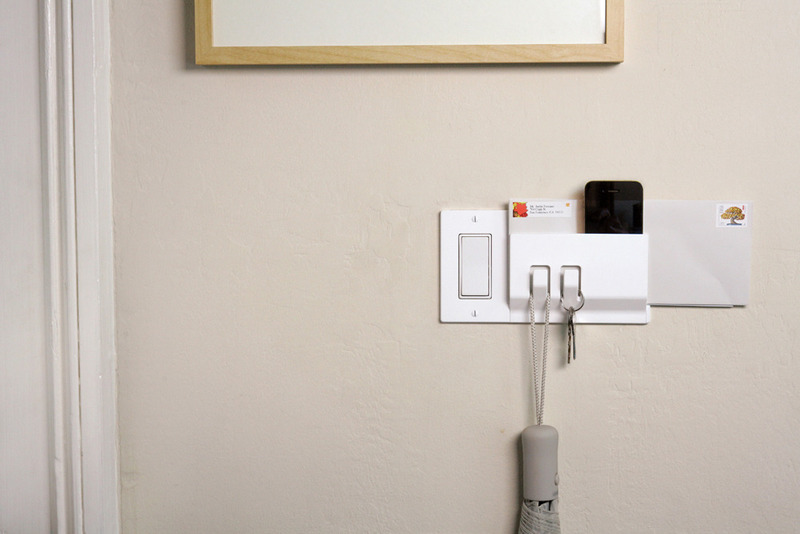 Walhub was designed by Upwell Design in San Francisco CA. The idea came about from a brain storming session about products that live on the perimeter of a space. 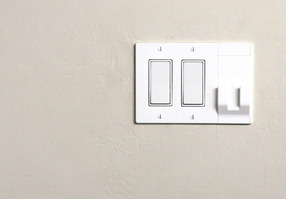 Switch plates became an immediate focal point; an existing system that already interfaces with the wall. Why not take advantage of it, and give it another function beyond just covering a hole in your wall. Walhub Keeper is a dedicated location to store the objects that often come and go with you - keys, mail, umbrella, scarf... Walhub Keeper can also be used as a phone charging station. 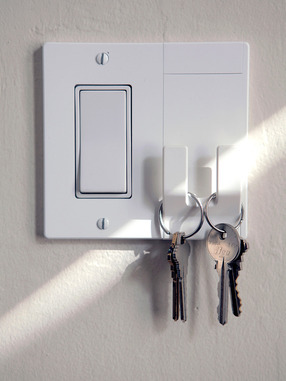 There's no need to purchase and install a new product on your wall like individual hooks or shelving systems; instead Walhub replaces your underutilized switch plate and adds practical function to a logical location. 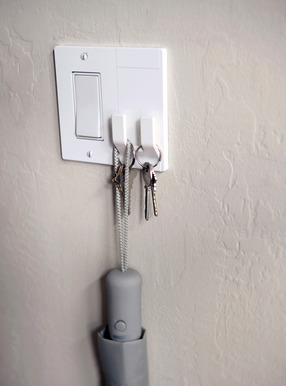 Walhub 2Hang is a dedicated location to store the objects that often come and go with you - keys, mail, umbrella, scarf... 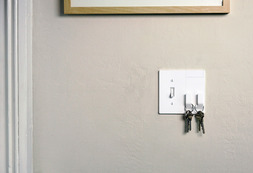 There's no need to purchase and install a new product on your wall like individual hooks or shelving systems; instead 2Hang replaces your underutilized switch plate and adds practical function to a logical location. 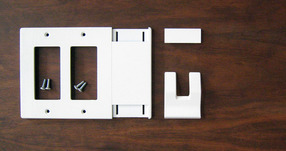 Walhub was designed as a 3 part system. This system allows Walhub to be positioned in a left or right configuration, and also gives us the ability to expand its functionality in the future... We are creating a product line that will allow you to purchase other functional parts which you will be able to plug into your existing Walhub without having to buy a new one. 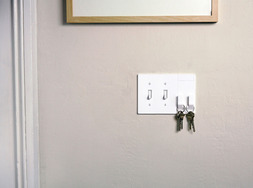 Walhub 1Hang is a dedicated location to store the objects that often come and go with you - keys, mail, umbrella, scarf... There's no need to purchase and install a new product on your wall like individual hooks or shelving systems; instead 1Hang replaces your underutilized switch plate and adds practical function to a logical location.